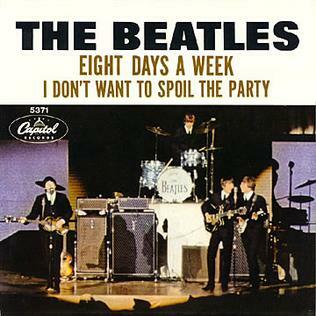 The Beatles Song Of The Day is “I Don’t Want To Spoil The Party.” “I Don’t Want To Spoil The Party” is on The Beatles “Beatles For Sale” album. John Lennon wrote this song while The Beatles were touring America in August 1964. They recorded it when they returned to England after the tour. John called this a personal song. The song has been described as an update on “I’ll Cry Instead” and a preview to “You’ve Got To Hide Your Love Away.” John Lennon: vocal and acoustic rhythm guitar/ Paul McCartney: harmony vocal and bass guitar/ George Harrison: vocal and lead guitar/ Ringo Starr: drums and tambourine. The song was recorded on September 29th, 1964 at Abbey Road. Producer: George Martin.